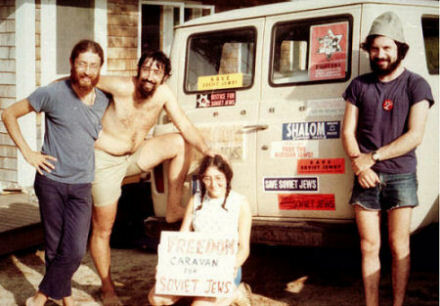 For the Caravan’s roving crew, I recruited four college students with Jewish camp experience, musical skills and a track record of Soviet Jewry activity. The team leader was David Forman, a gung-ho, uninhibited, fifth year rabbinic student at Cincinnati Hebrew Union College; then there was David’s wife, Judy, an education major at the University of Cincinnati; and two University of Toronto students, David Sadowski and Mark Clarfield. Lastly, my wife, Evy, operating from home, managed the schedule of the Caravan’s camp visits throughout the summer. At the end of May, the team members descended on our home for a tumultuous two weeks of brainstorming, practice and preparation. For our four kids it was a ball. They adored having this boisterous bunch in residence. On the last morning, the team loaded up their rental van and, with the Rosenblum family waving them off, headed for the Buffalo, New York, border crossing and their first assignment at a Canadian summer camp. However, it was not the last of the crew I would see that day. 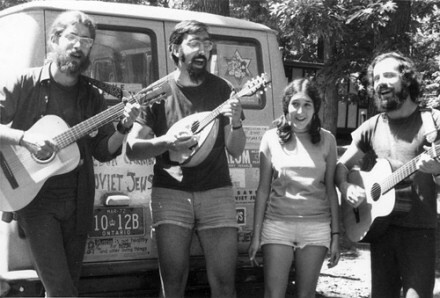 About noon there was a distress call from David Forman, “please come, you gotta vouch for us: the Canadian border guys won’t let us in!” Yep, this was the era of the hippy movement. For officials it was the barbarians are at the gates: curb entry of scruffy, sandal-wearing bearded young men and be-jeaned, bra-less young women (And who knows? They may be LSD-scarfing, pot-smoking, political radicals to boot). Three hours and 200 miles later, credentials in my suit pocket and wearing an unaccustomed tie, I drove to the border station; attested to the earnest nature of the Caravan’s mission; and tarried long enough to witnessed their release into Canada. The rest is history. 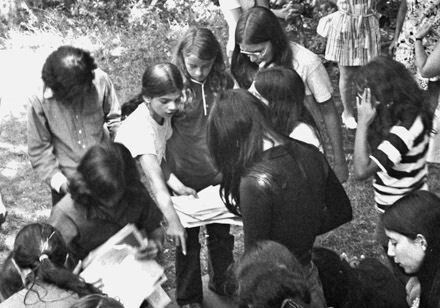 From June through August the Caravan wended its way to 40 Jewish youth camps — engaging, enlightening and enthusing 9000 campers and staff people. David discusses with campers what life is like for Jews in the Soviet Union. Letters from camp directors lauded the Caravan’s efforts. To top it all, some wrote of personal plans to initiate projects for Soviet Jews back in their home communities. See sample of letters: Letter 1 (pdf); Letter 2 (pdf). Following that long summer, what became of Caravan’s crew? David Forman, three months later, organized the Cincinnati Council for Soviet Jews; was ordained rabbi in 1972 and Judy and he, soon after, made aliyah. 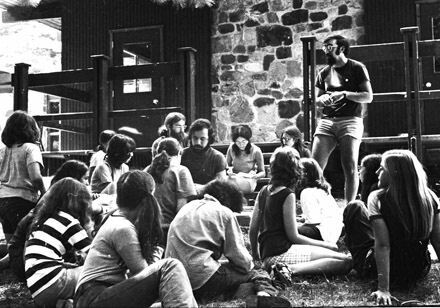 For most of his career, David’s bread and butter job was Director of the National Federation of Temple Youth Jerusalem Office. On the side, he was a major advocate for human rights in Israel: founder and Chair of the Jerusalem Council for Soviet Jews, 1973; Chair of Interns for Peace, 1984-1986; founder and Chair of Rabbis for Human Rights, 1988-1992 and 2002-2003. Between 1977 and 1991, he was a Deputy Commanding Officer in the Artillery Corps of the Israeli Army, receiving a Citation for Meritorious Service in 1990. 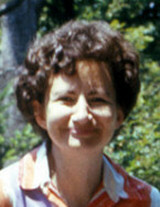 Judy Forman had a long fruitful career teaching two generations of young children and children with developmental disabilities — to say nothing of raising their four girls and managing the Forman household and, more recently, grandmothering their seven grandchildren. David Sadowski still lives in Toronto. He has established a solid reputation as an accomplished developer of governmental, institutional and commercial properties. 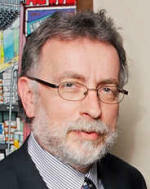 In the just last decade, he has been responsible for two major projects. First, he managed the conversion of a 640-acre, former Toronto military base into Canada’s first urban park, Parc Downsview Park, intended to be a place where Canadians can celebrate their country’s history and physical and human diversity. Lately, David has overseen for the UJA Federation of Toronto development of the 50-acre Lebovic Jewish Campus, which includes schools, community agencies, recreation facilities, and open green spaces.